Out of the top 50 robots that were ranked in the world, Sweeney's Leonard Da Vinci's Lost Robot Knight ranked 7th! Distinguendosi da alcuni appassionati di Leonardo da Vinci dei nostri tempi, Ben Sweeney non è rimasto rapito dall’annuncio a sfondo romantico che narrato nel racconto, divenuto best-seller mondiale, di Dan Brown. Al contrario a catturarlo è stata la mano “sinistra” di Leonardo. Un vecchio ammiratore di Leonardo da Vinci, grazie all’aiuto di un ex ricercatore dell’Università di Yale, sta provando a sfidare quelle che, ancora oggi, sono le credenze comuni, riguardanti la vita di una delle più grandi menti mai esistite nella storia. 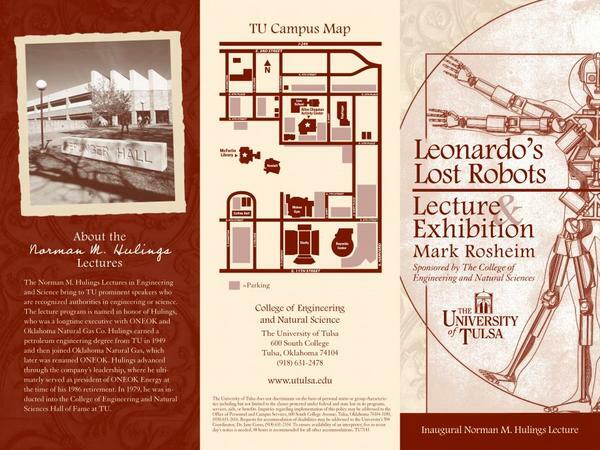 Ben Sweeney's Robot is going on exhibit on April 6, 2007 at the University of Tulsa. 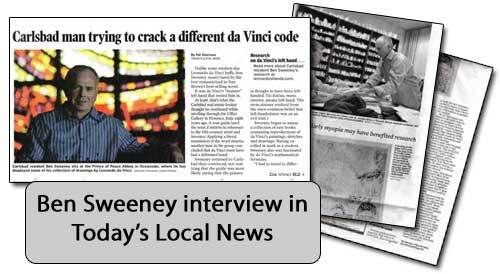 Unlike some modern-day Leonardo da Vinci buffs, Ben Sweeney wasn’t lured by the lore romanticized in Dan Brown's best-selling novel. It was da Vinci’s “sinister” left hand that reeled him in. At least, that's what the Carlsbad real estate broker thought he overheard while strolling through the Uffizi Gallery in Florence, Italy, eight years ago.